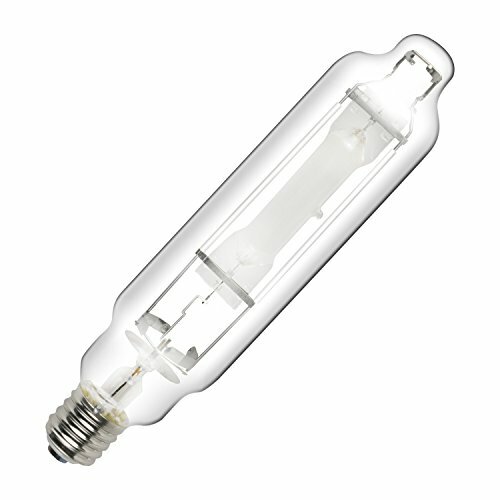 In the market for new HPS lights? Then you’ve come to the right place! Unless you’ve done your homework, it’s very hard to know what to look for in an HPS grow light, and even harder to know which out of the many available will be the right grow light for you. But don’t worry! There’s no need to scour the internet looking for advice and information on how to pick the best HPS light out of the many available, we’ve done the research so you don’t have to. 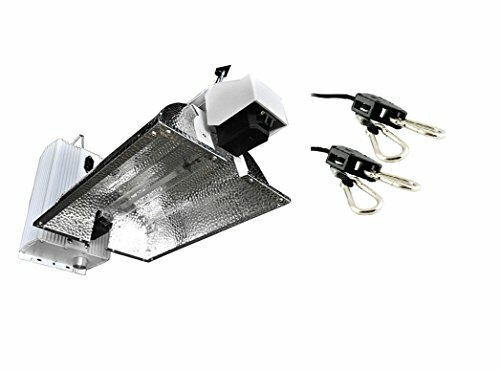 High-pressure sodium grow lights, or HPS grow lights, are commonly used by professional horticulturalists and amateur plant lovers alike, thanks to their high efficiency, long lifespan, and the fact that they emit more light from the red end of the spectrum, which promotes flowering and fruiting in plants. They generally produce about 100 lumens per Watt, but a 600W bulb, the most efficient wattage of HPS light bulbs, can produce up to 150 lumens per Watt. 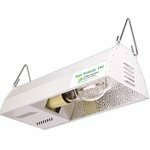 Below, you will find a list of five of the best HPS grow lights on the market, complete with descriptions of their specifications, and evaluations of their strengths and weaknesses. This is a great package for those who are new to the growing game, as it includes everything you need to get started and is really easy to set up. You get two bulbs, a 600W super HPS light bulbs, which has a 24,000hr lifespan, plus an MH bulb, for when your plants are in their vegging stage. The ballast, (the component which controls the flow of electricity to your lights, a vital piece of kit; without it, your lights will draw more and more electricity from the mains until they burn out,) is fantastic. It’s dimmable, will automatically switch between your lamps and it has a built-in cooling fan so it doesn’t run as hot as a lot of the other digital ballasts out there. This is a really great deal for the money, and your plants will be happy and blooming in no time. This is a really compact system and is very easy to use, straight out of the box. It comes with a 150W HPS light bulb which uses very little electricity and doesn’t put out too much heat. The high-intensity Ultra Sun bulb boasts an output of 16,000 lumens and provides the perfect color spectrum for successful indoor gardening. It’s very well constructed for the price, and it comes with an aluminum insert, which is pitted for maximum effectiveness and does a really great job of reflecting the light. It’s a great little kit and would make a sensible buy for any indoor grower. This is a very flexible system which allows you to manage the heat given off by the lights by allowing you to dial down the wattage with three different settings. It comes with a 19inch adjustable wing reflector and a pair of rope ratchets for hanging your lights over your plants. The inclusion of an MH grow light bulb means that you get a balanced spectrum of light, which helps to promote healthy growth throughout the plant’s lifecycle. This is a solid kit, everything is tough and durable and it will last you for ages. 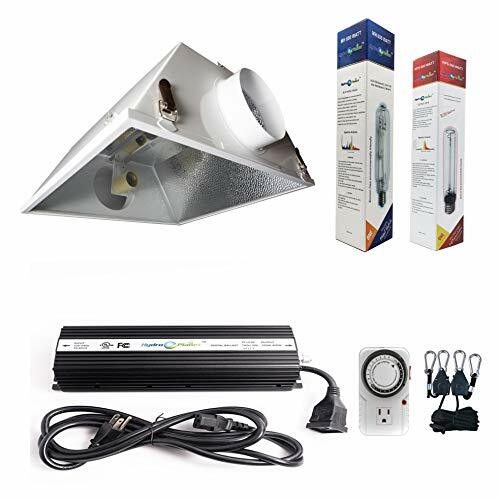 This powerful 1,000W grow light kit is great for large greenhouses and boasts a double ended lamp, which has a slower degradation rate than single ended HPS grow light bulbs. Double ended HPS bulbs are more stable than the single ended versions, which gives them extra intensity. After 10,000 hours of use, the bulb will still work at 90% of its original intensity, which is very impressive. Another bonus is that they give off much more infrared and ultraviolet light than single ended bulbs. 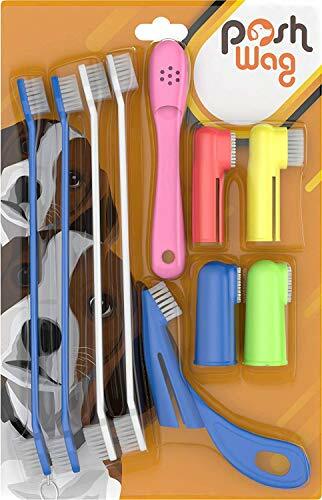 The kit includes a high-efficiency aluminum reflector and an adjustable, high-frequency electronic ballast. The Thunder GLK1000CT6 comes with a 1,000W super HPS light bulb as well as am MH bulb for the vegging stage of your plants’ growth. There is a great timer for the ballast, which has a dual outlet, so it lets you control two devices with the one times. The ballast itself can be adjusted to the perfect wattage for each stage of growth and it has dimming options of 50%, 75% and 100%. This is a really well-made product and will last an age. The manufacturers are so certain of this that they offer a five-year manufacturer warranty! A solid choice for any indoor grower.